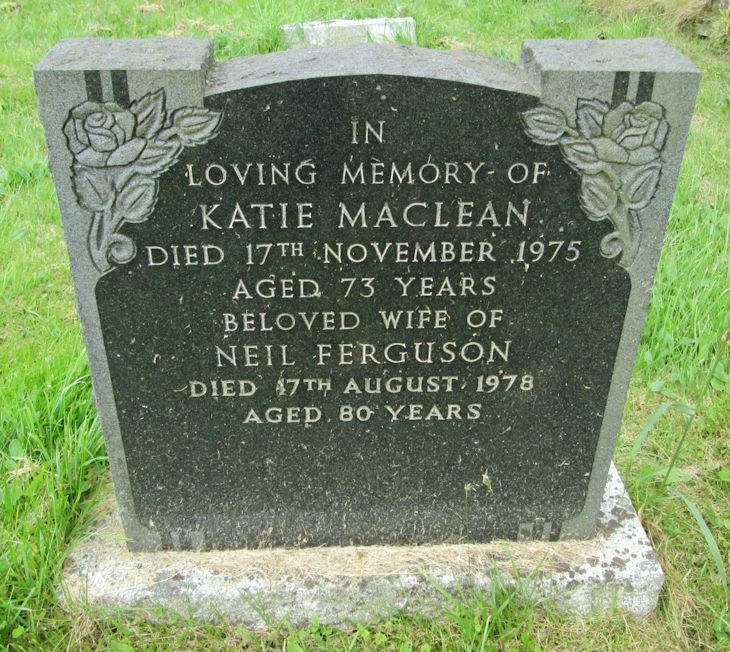 Skye Gravestones | Katie (Maclean) & Neil Ferguson. Katie (Maclean) & Neil Ferguson. In/loving memory of/KATIE MACLEAN/died 17th November 1975/aged 73 years/beloved wife of/NEIL FERGUSON/died 17th August 1978/aged 80 years. I think these are the parents of Neil Ferguson who lives in New Zealand. Added by Norma Maclean on 09 January 2016.